Your entryway is often the first thing people see when approaching your home. Put your best door forward and install a storm door to complete the look of your home’s entryway. In addition to creating a fresh appearance, installing a storm door yields a number of benefits. It’ll bring more light and ventilation to your home, enhance security and increase your home’s energy efficiency. 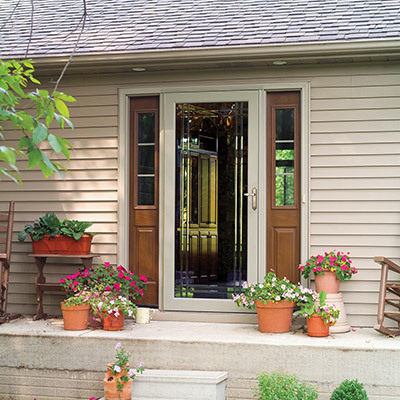 Let’s find out why installing storm doors is perfect for any Milwaukee homeowner. A storm door is an additional outer door installed in front of a new or existing exterior door. They open and close like conventional doors, but differ in that they’re usually thinner and more lightweight. When installing storm doors, you have a wide variety of styles, colors and screen options to choose from. You’re free to create a custom-made door that best compliments your new or existing entry door. 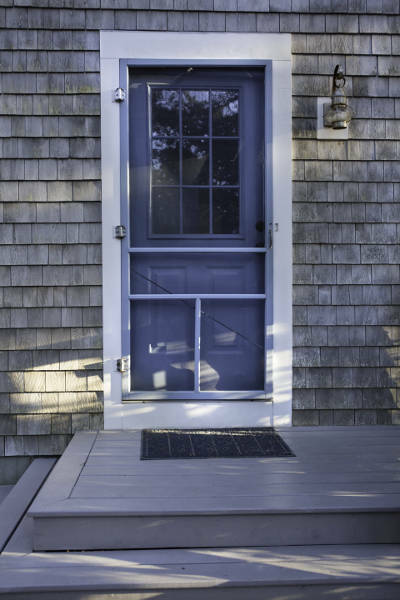 Here’s a brief overview of storm door styles so you know your options. This type of storm door is awesome because it has a screen door that actually retracts into the door itself. It offers easy ventilation anytime you want it – without taking out or replacing the screen. 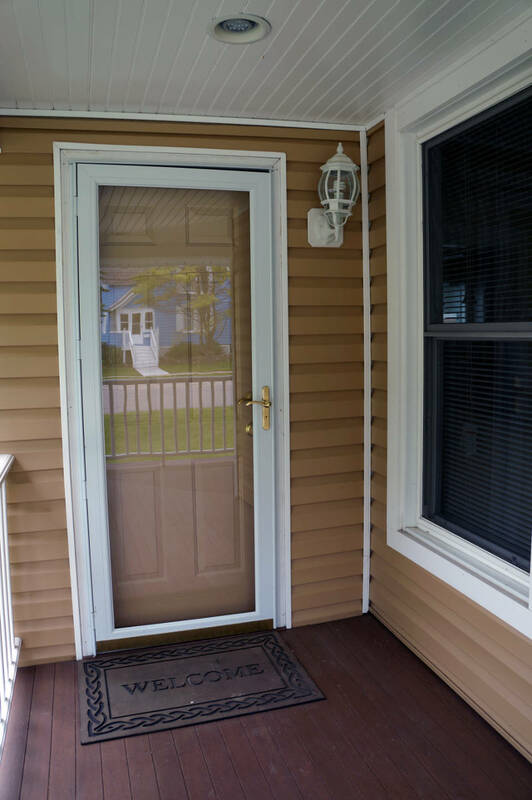 These storm doors are perfect for Milwaukee homeowners, as they’re heavy duty and made to resist weather. They’re also made with removable glass and screens, allowing you to use one or the other depending on the season. Calling all moms, dads, pet-owners and outdoor-lovers. These screen storm doors are for you because they give you awesome ventilation, won’t tear and keep pets and children safely inside. Looking to spice up your entry way? These full-view doors add style to your home while maximizing light. They come in an array of beveled glass designs to perfectly accent your entry door. Storm doors are an awesome addition to any home. To prove it, we’ve compiled a list of advantages of installing storm doors so you can make an educated decision in deciding if they’re right for your home. By installing storm doors you’ll be able to bring more light into your home, enhancing and brightening the interior. Prop your entry door open and let the natural light shine through your storm door. One of the perks of installing storm doors is the extra layer of insulation around your front door. A storm door acts like an additional barrier to your home, sealed tightly to prevent unwanted air from entering or escaping your home. Front doors are often the main source of air leakage from homes, so storm doors can help keep that air inside. In return, they’ll help your home’s interior temperature stay regulated and comfortable. The best part about a storm door’s excellent insulation is that it’ll boost your energy efficiency. The insulation power of a storm door can both lower your energy bill and reduce your carbon footprint – the perfect win-win situation! 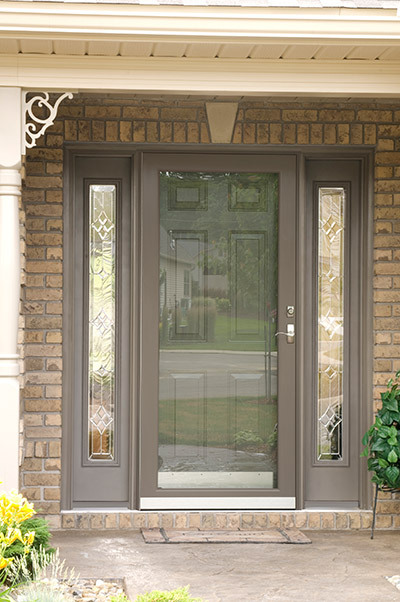 Storm doors can protect your main entry door from harsh Milwaukee weather such as rain, ice, wind and snow. Your storm door helps keep weather elements from reaching your main door so any special finish, stain, windows or paint you have on your entry door can last longer. The last thing you want is for your entry door to get damaged. If your’re looking for a simple way to make your home more secure, storm doors are the way to go. Storm doors can give you the protection you need, acting as an extra barrier between you and whoever is at your front porch. You’ll be able to open your front door without losing the barrier between you and the person in front of you. That should make you feel more comfortable opening your door to a stranger. A durable, heavy-duty storm door with an aluminum frame and tempered safety glass will offer more protection from break-in attempts and it’ll last longer. And as far as screen doors go, stainless steel is the best of the best when it comes to security. You can also buy a storm door with a lock to make it harder for an intruder to break in. If anything, a lock can act as a deterrent to an intruder and perhaps give you the peace of mind you deserve. When the weather is nice, who wouldn’t want to take advantage? 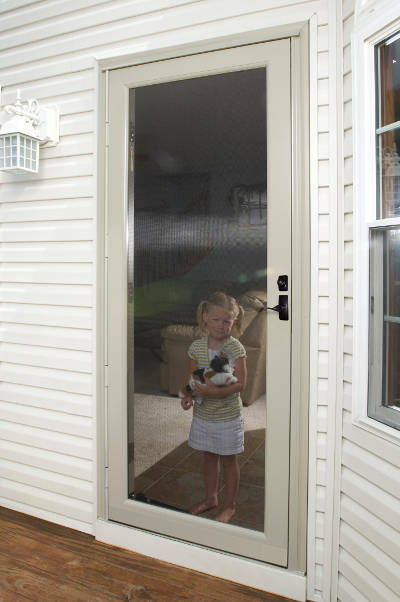 Choose a storm door with a ventilation option to increase airflow throughout your home. You’ll be able to let a nice breeze into your home, while the screen inserts keep bugs and pests out. When installing storm doors, you have many styles and colors to choose from, allowing you to get creative with your entryway. There’s such a wide selection of storm doors to choose from that you can find one to blend with virtually any style. Even if you already have a storm door, it may be time for a new one. 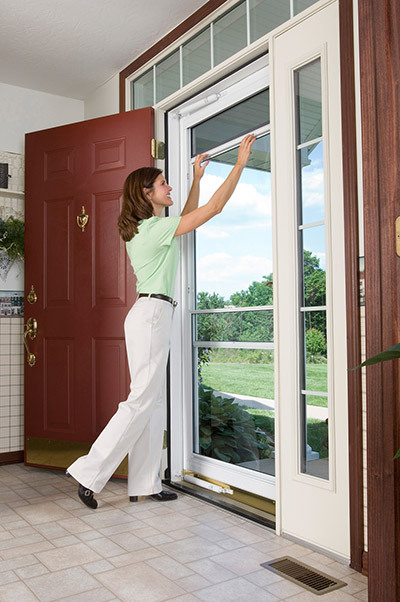 Replacing any old, worn out storm doors with new ones can instantly boost the appearance of your home. Having a more appealing entryway can help increase the value of your home, as well. Feeling informed? Hopefully now it’s clear to see why installing storm doors is beneficial for your Milwaukee home. If you do make the wise decision to improve your home with a new storm door, make sure you choose quality and get proper installation. Get your free storm door quote now.